An island country in the Indian Ocean, Sri Lanka has thousands of years of history, amazing beaches, and a colorful tradition of art, culture, and festivals. Curious travelers will love stunning Sri Lanka, and every day here will be an adventure. Of course, as with any travel destination it is always important to consider safety. Sri Lanka just recently ended a violent civil war in 2009, when the rebel group Tamil Tigers was defeated by the Sri Lankan army. Although the fighting is over now, there are still land mines which are being cleared and heavy security in sensitive locations. 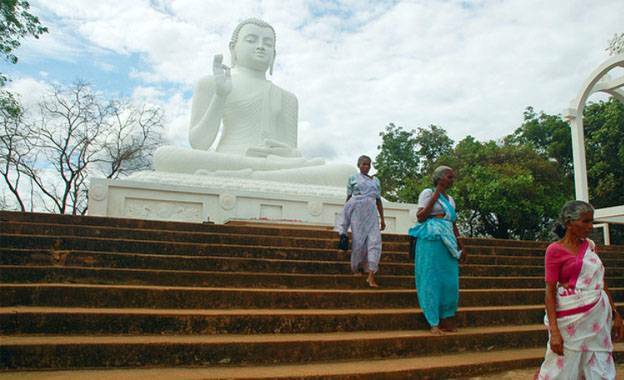 Sri Lanka is generally safe for tourists to visit, as crimes involving tourists are very rare. If you are travelling through Sri Lanka, you should exercise the same amount of care and caution that you would at home. There are many con artists who make their living off the naivety of tourists. First time visitors to Sri Lanka might find themselves the victim of a scam, so be prepared and informed. Don’t believe anyone who claims to be a professional or the manager in charge of the location, such as a bus terminal, who cannot show you proof. One scam will involve trying to entice you to purchase discount gemstones, which you will be told that you can sell in your own home country for a profit. They are often no more than colored glass, so do not fall for this scam. If someone offers you directions, don’t always take what they say seriously. Bring a map with you to avoid getting send in the wrong direction. If this is your first time travelling in Sri Lanka, don’t admit this information to everyone. It makes you a target for scams. You will likely find that the road rules for drivers in Sri Lanka are not followed as closely as they might be where you are from. Erratic driving is commonplace, and road accidents happen almost every day. Be very careful when crossing the street. Snake bites are very rare, but if you are bitten by a snake you should immediately go to the hospital. Call 119 for an ambulance or 110 in Colombo. Avoid the tap water, and use bottled water for drinking and brushing your teeth. There have been reports of theft from hotel rooms, so make sure that your belongings are secured in a locked safe in the room. Don’t forget to get all of your recent vaccinations before you leave, including Hepatitis A and B and Tetanus. Be aware, use your common sense, and keep yourself during your travels in Sri Lanka so that you can enjoy all of the natural and cultural beauty of this exciting and exotic destination. Always the explorer, Simon Grant, the author of the “Safety tips for Sri Lanka” flies all over the world on adventures and blogs about it on his site “Time To Wander”.